Early Saturday morning on May 2, Southeast Portland police responded to reports of gunshots heard in the area of East Burnside Street and Southeast 83rd Avenue. Upon arriving at the scene, one witness said that multiple gunshots were fired, and that someone shot from a dark-colored vehicle. Ultimately, three men were arrested on drug and weapon charges, although police found no property damage in the neighborhood, and there were no victims. Those arrested include Dajuan Travonte Shakier, 23, who was charged with felon in possession of a firearm and possession of cocaine. Ismail Sharif Abdullahi, also 23, was charged with unlawful possession of a firearm and possession of cocaine. Robert Jermaine Richardson Jr., 20, was charged with unlawful possession of a firearm and possession of cocaine. Shakier was also charged with parole violation. When police located the vehicle described by a witness, one of the men got out of the car and attempted to walk away, but was stopped by police. Officers reportedly noticed a shotgun in the floorboard of the back seat, and also located a handgun upon searching the vehicle. Thousands of dollars in cash was also seized from the three men. 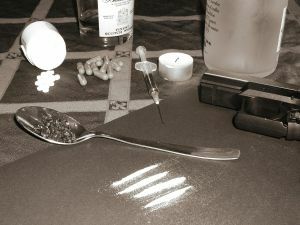 The criminal penalties for those found guilty of cocaine possession are harsh, and vary from state to state. In Oregon, the maximum sentence includes up to $100,000 in fines and up to five years in prison. Several factors affect the punishment an individual will face including criminal history and amount of drug involved. In the state of Michigan, penalties for cocaine possession are far more severe, and may include fines of up to $1 million along with life in prison for those convicted of possession of cocaine in amounts of 1,000 grams or more. Even when a person is found to be in possession of between 50 and 449 grams, he/she may face fines of up to $250,000 and as much as 20 years in prison. A drug conviction not only steals your freedom, it can negatively impact your reputation, career, and future. Regardless of whether you have been arrested for cocaine possession, manufacture of meth or other substances, or distribution of illicit drugs such as heroin, ecstasy, or cocaine, it is vital you consult with a highly skilled and aggressive Michigan drug crimes attorney immediately. You have legal rights that must be protected; work can begin immediately to develop a solid legal strategy so the damage to your life is as minimal as possible.